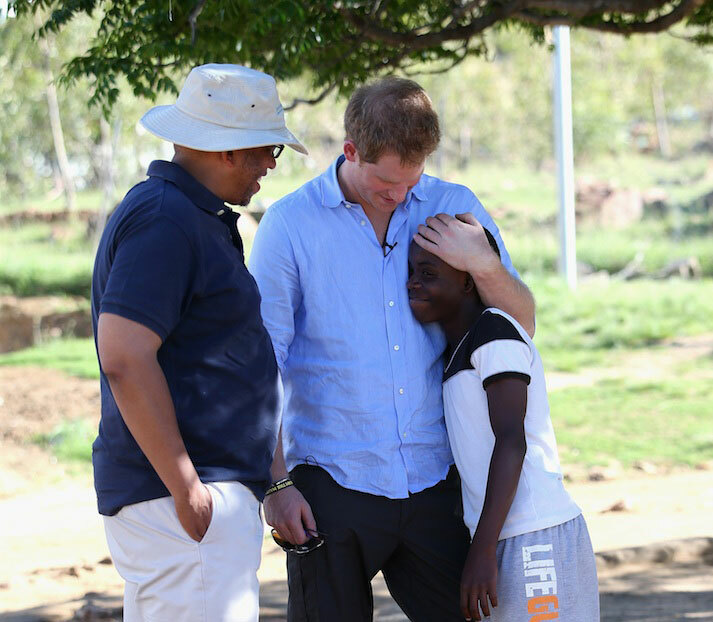 In 2006, Prince Harry and Prince Seeiso of Lesotho jointly co-founded Sentebale, a charity set up to ensure the most vulnerable children in Lesotho get the support they need to lead healthy and productive lives. Over the past ten years, Prince Harry has worked to draw attention to the urgent issue of children who live in extreme poverty or suffer from HIV/AIDS in Lesotho, and the importance of delivering essential life-skills and psychosocial support to help combat this crucial problem. Following his first visit to Lesotho during his gap year in 2004, Prince Harry felt compelled to help the children he had met whose lives had been shattered by HIV/AIDS. Together with Prince Seeiso, the younger brother of King Letsie III of Lesotho, Prince Harry set up Sentebale in 2006. Working in partnership with local grassroots organisations, Sentebale helps children in Lesotho who have become victims of extreme poverty or the HIV/AIDS epidemic, providing healthcare, education and psychosocial support. The charity runs and collaborates on a diverse range of programmes; from improving the emotional wellbeing of children coping with HIV to providing care for orphaned children with physical disabilities, Sentebale works in partnerships to positively transform the lives of some of the world’s most vulnerable children. The word Sentebale was chosen as the name of the charity and means ‘forget-me-not’ in Sesotho, the official language of Lesotho. The word not only represents the continuation of both of The Princes' late mothers’ work to help those affected by AIDS and poverty, but also that Lesotho and the plight of its children are not forgotten. Eleven years ago I made my first visit to Lesotho, with the help of Prince Seeiso. As we travelled the country I was amazed by its raw beauty; but I was also struck by the many children I met whose lives had been shattered by the loss of a parent and in some cases both. I couldn’t believe that so many children had been robbed of their childhoods by extreme poverty and the ravages of HIV and AIDS. Behind those smiles it was clear they desperately needed care, attention and above all, love. Since its inception, Prince Harry has worked hard to raise awareness around Sentebale's important work, as well as shining a light on the urgent issue facing Lesotho's most vulnerable children. His Royal Highness regularly visits the charity's projects and programmes in Lesotho in both a public and private capacity, and attends a number of Sentebale engagements throughout the year, including the annual Sentebale Polo Cup. In November 2015, Prince Harry attended the official opening of the Mamohato Children's Centre, a flagship facility that supports all of Sentebale’s work with vulnerable children in Lesotho. During the opening ceremony, His Royal Highness delivered a speech in which he reflected on Sentebale's achievements to date, and the importance of the new centre for the charity: "This centre is now the heart of Sentebale, situated on the hallowed ground of Thaba Bosiu in the country that is our home, Lesotho; it represents how far we have come as a charity but more importantly how much more we want to achieve." 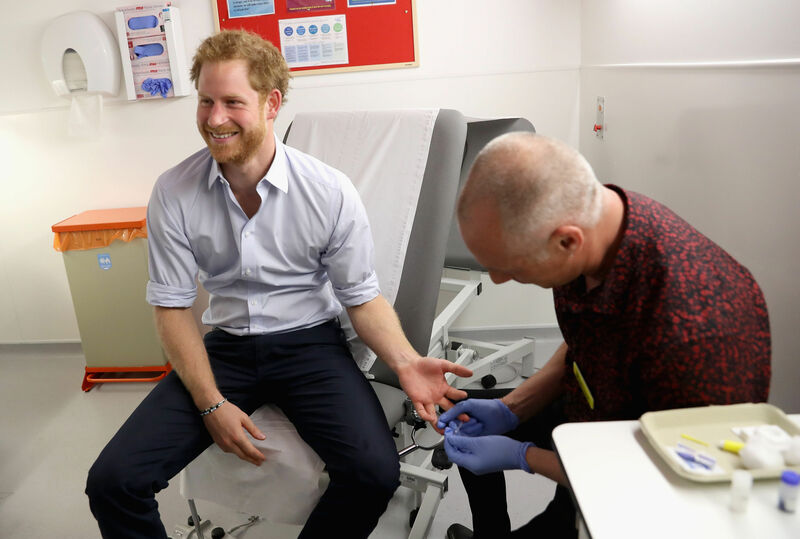 Prince Harry is passionate about raising awareness of issues surrounding HIV/AIDS in the UK and around the world; in particular the damaging effects of stigma and has been publicly tested for HIV, both in Barbados and Guys and St. Thomas’ Hospital, London, to show how easy it is to get tested. His Royal Highness also joined Sentebale at the International AIDS Conference in Durban in July 2016, after spending a few days at the Mamohato Children’s Centre, he spoke about the power of education in young people in the fight against HIV/AIDS. Read Prince Harry's speech here. in 1026 Prince Harry hosted a rock concert in the grounds of Kensington Palace with the help of Coldplay, Nico &Vinz, Laura Mvula, Alicia Lowes, Sentebale ambassadors Nacho Figueras, George the Poet and Joss Stone, and last but not least, the Basotho Youth Choir, who came all the way from Lesotho. The concert helped to raise funds for vulnerable children in sub-Saharan Africa, and raise awareness for those living with HIV. A year of on-going efforts in the fight against HIV/AIDS accumulated in an hour long documentary broadcast on ITV on 19 December 2016 following Prince Harry’s return to Lesotho, a decade after he set up the charity with Prince Seeiso. Prince Harry spoke of his motives for setting up Sentebale and his passion for the future of the charity’s work as it plans to expands into five sub-Saharan African countries by 2020, delivering psychosocial support to 10 to 19 year olds who are struggling to come to terms with living with HIV. On 27th November 2016, Sentebale launched the first of three weeks of camp in Botswana, providing support to 150 young people.